One of my favorite things we used to have at Christmastime was a fairly simple treat. We would spread peanut butter between crackers and then dip them in chocolate. 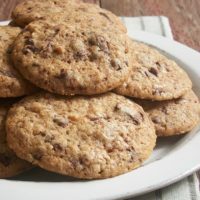 They were the perfect blend of sweet, nutty, and a touch of salty. 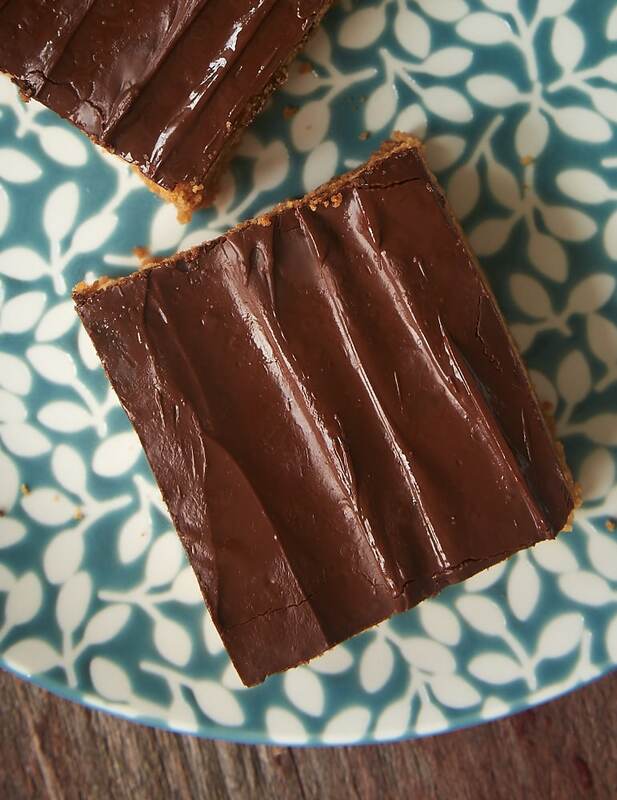 These Sweet and Salty Peanut Butter Bars are an ode to those Christmas treats. 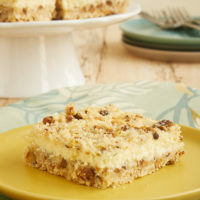 The bars are made with lots of peanut butter and have crushed crackers mixed right into the batter. 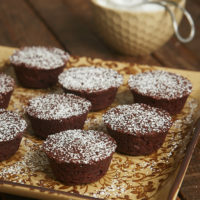 Then they’re topped with chocolate for the perfect finish. 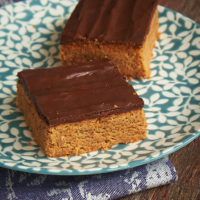 The end result is a really fantastic peanut butter bar with just an extra hint of saltiness. If you want to add a little more salty flavor, try sprinkling some coarse salt on top of the chocolate after it’s spread over the top of the bars. Without knowing there are crackers in there, I’m not sure I could have identified them as an ingredient. But they add such great flavor and saltiness that I find irresistible. 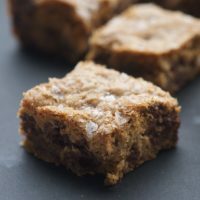 I love that I now have a new, simple way to enjoy one of my all-time favorite treats in bar form! 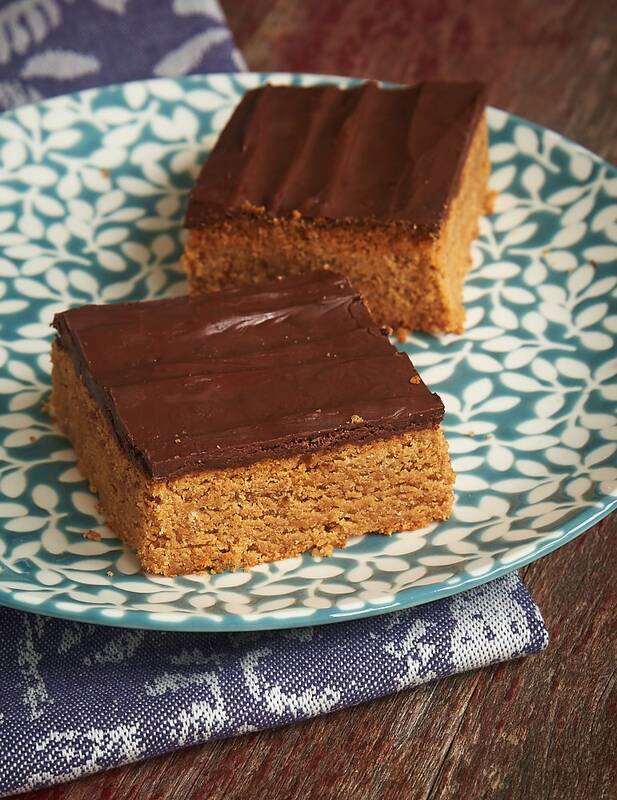 For a similar recipe that requires no baking, try these No-Bake Peanut Butter Chocolate Bars, made with either graham cracker crumbs or Ritz cracker crumbs. 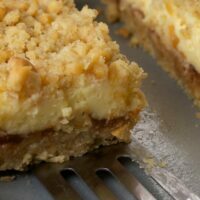 Peanut butter, chocolate, and salty cracker crumbs make these Sweet and Salty Peanut Butter Bars a favorite! Whisk together the cracker crumbs, flour, baking powder, and salt. Set aside. Using an electric mixer on medium speed, beat the peanut butter, butter, sugar, and brown sugar until thoroughly combined. Mix in the egg and vanilla. Reduce mixer speed to low. Gradually add the cracker mixture, mixing just until combined. Spread the batter evenly in the prepared pan. 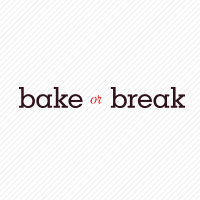 Bake 22 to 25 minutes, or until a pick inserted into the center comes out clean. Remove the pan from the oven. Sprinkle the chocolate chips over the top of the bars, and let stand for about 5 minutes. Then spread the chocolate over the bars. Allow the chocolate to set before cutting into bars. *I used Ritz crackers and needed about 30 crackers to make 1 cup. As usual you had me at “peanut butter” but the nail was the sweet and salt aspect. Unfortunately I did not grow up with those peanut butter filled, chocolate dipped crackers being a common thing but I definitely don’t miss them when they are around now! I love that you pulled inspiration from them to make this.